​Rev. 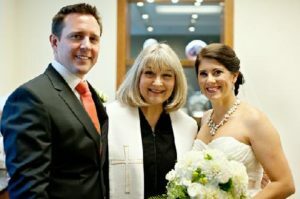 Nagy – Thank you so much for officiating at our wedding — your kind words helped make our day very memorable. We’re glad you could play such a special part in making our dream come true! With best wishes and sincere appreciation, Donna, Kevin – and Cameron! Hi Rebecca, Just wanted to send a quick thank you for marrying us just over two weeks ago! We so enjoyed ourselves and the ceremony was just beautiful! I can’t tell you how many people commented about how they enjoyed you and thought you were fabulous. You were definitely that. 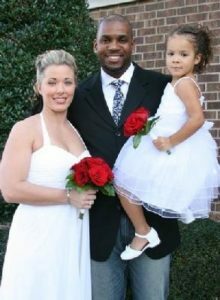 I know you have many couples who were happy with your services, but if you ever need references, we would be happy to help! You are a wonderful gift to our marriage for helping us to start out in such a special way. 1-12-08 at St. Mary’s Chapel. We have had many compliments on the service itself and what a WONDERFUL job you did as your personality is infectious, endearing and very powerful. 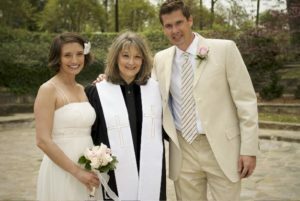 My mother commented that our service was the sweetest ones she has ever attended and that it was perfectly scripted for us. We would highly recommend you as you are great and easy to work with. Rebecca, Thank you so much for your warm and personal wedding service for Fara and Chip. You made it so meaningful for them and all of us with your words and expression. It was wonderful to have God present without all the orthodoxy. Every comment we heard from the guests indicated that you had touched them also. We’ll remember that service for a long, long time. Hi Rebecca, Adam and I want to thank you for making our wedding so beautiful. It was everything we had hoped it would be, and more. It was very personal for us and special. 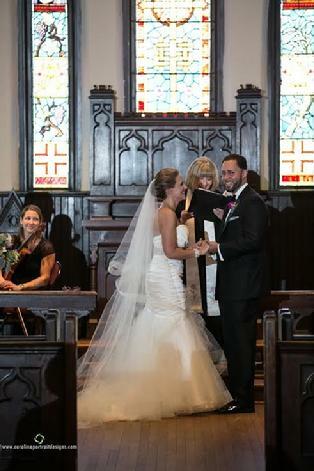 Rebecca,Chris and I want to thank you for such a wonderful ceremony this past Saturday. We received many compliments about how beautiful and fun it was, especially about how inspiring and passionate you are in officiating the ceremony. We could not have asked for more! A beautiful ceremony!Rev. 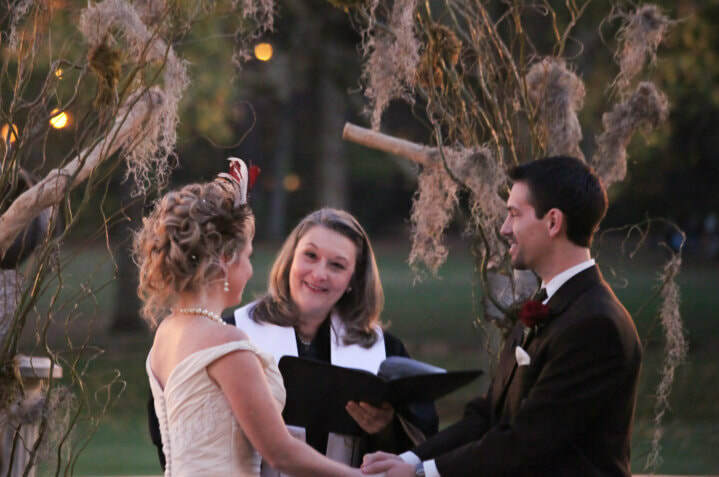 Rebecca Nagy performed our ceremony in Mooresville, NC this past April…it was the most beautiful ceremony! Her writing was emotional, passionate and so very personalized! There were tears, there was laughter…it was the perfect balance! Thank you Rebecca for making our day so special! We feel very lucky to have had you as a part of our wedding!